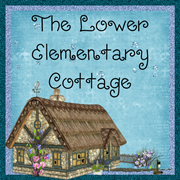 The Lower Elementary Cottage: Thank you! What would you like to see next? Hello everyone! I wanted to send out a huge THANK YOU to all of you for making my Teachers Pay Teachers and Teachers Notebook stores a huge success! I've noticed the Common Core checklists have been a huge hit. 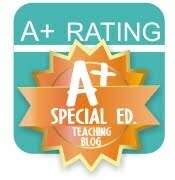 My newest addition of the Special Education Student Information Sheet has also had great success. I'm so happy to see the things that work in my classroom can work in yours too! Since you are my wonderful customers, I was wondering what you'd like to see added to my stores next? The choice is yours! What would you love to have in your classroom, but don't have the time to make yourself? I'm great at making checklists, rubrics, and forms. I also plan on making some social skills goal sheets. I have several little guys with autism and other disorders that affect social skills. I'm going to be making some sheets for each of the socials I want them to work on. I'll post them as soon as they are ready.